Let us help you remove your unwanted Tattoo. Lighten Up Laser Clinic uses leading laser technologies to help remove your unwanted tattoo in less time and with better results! With pricing starting as low as $75, the only thing you will lose is your unwanted tattoo! Best of all, initial consultations are free. We offer unbeatable tattoo removal prices starting at only $75. Why Choose Lighten Up Laser Clinic? 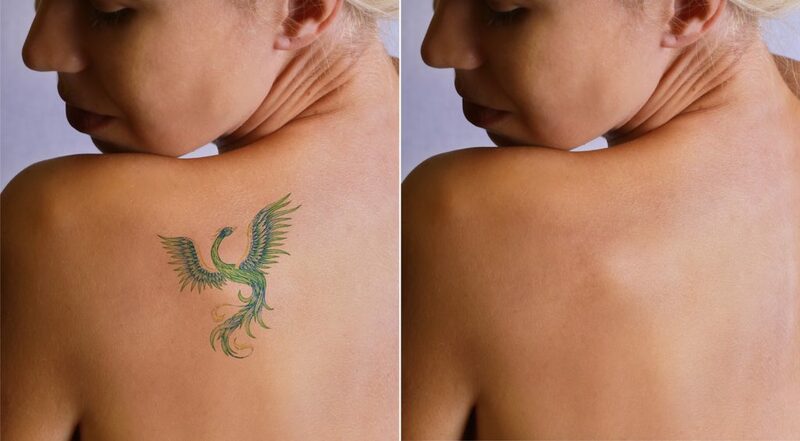 Lighten Up Laser Clinic is Northeast Houston’s #1 provider for laser tattoo removal! Our specialty lies in removing unwanted ink and we have the results to show it. Our goal is to provide safe and effective treatments in a friendly and comfortable environment. We understand that everyone has a reason for wanting to remove their ink. Lighten Up Laser Clinic is located in Kingwood Texas and serves the Tattoo Removal needs of North East Houston, Atascocita, Humble, 1960, Spring, Huffman and Conroe, Texas.